Chloe grew up in Edinburgh and shortly after completing her A Levels moved to Bristol to study Marketing at university, before joining us here in 2011. 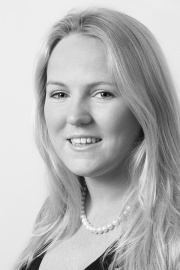 With her bubbly personality and in-depth knowledge of the Bristol market, Chloe is an instrumental member of the team, specialising in the valuation and sales of apartments in North-West Bristol. She lives in Clifton with her husband (a Property Developer; such a property oriented couple!) and their son. Outside of work, Chloe has a serious love of speed; from ski racing, fast cars, formula one to motorbikes, whilst conversely also enjoys spending leisurely time with her family (particularly in Edinburgh when time allows!) and sampling the culinary delights Bristol has to offer – Chloe is the go-to girl for a great place for dinner! Or lunch. Or breakfast.